The Memorial Candle Program has been designed to help offset the costs associated with the hosting this Tribute Website in perpetuity. Through the lighting of a memorial candle, your thoughtful gesture will be recorded in the Book of Memories and the proceeds will go directly towards helping ensure that the family and friends of Jimmy Roper can continue to memorialize, re-visit, interact with each other and enhance this tribute for future generations. 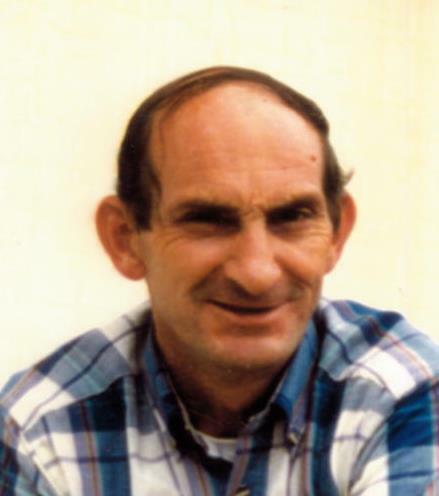 Jimmy Leon Roper, age 77, passed away on September 4th 2018. Jimmy was a native of Rutherfordton and was retired from Cowan Tire, Goodyear in Forest City. He was the son of the late Robert and Ethel Roper he is preceded in death by 4 sisters, Arrie Lee Adams, Frances Brooks, Naomi Womack, and Betty Lewis; two brothers Carl Roper and Glenn Roper and son, Ronnie Roper. Left to cherish his memory are sister Faye Womack; sons Timmy Roper and wife Margaret of Marion, NC; Michael Roper and wife Debbie of Rutherfordton, NC; Brian Roper and wife Leah of Forest City, NC; 9 grandchildren and 16 great grandchildren; many nieces and nephews. Services will be held on Saturday September the 8th at 11:00AM at Crowe’s Chapel with Chaplain Bryan Melton officiating. The family will receive friends one hour prior to the service. Burial will follow at Oak Ridge Baptist Church Cemetery, 595 Cove Rd Rutherfordton, NC 28139.